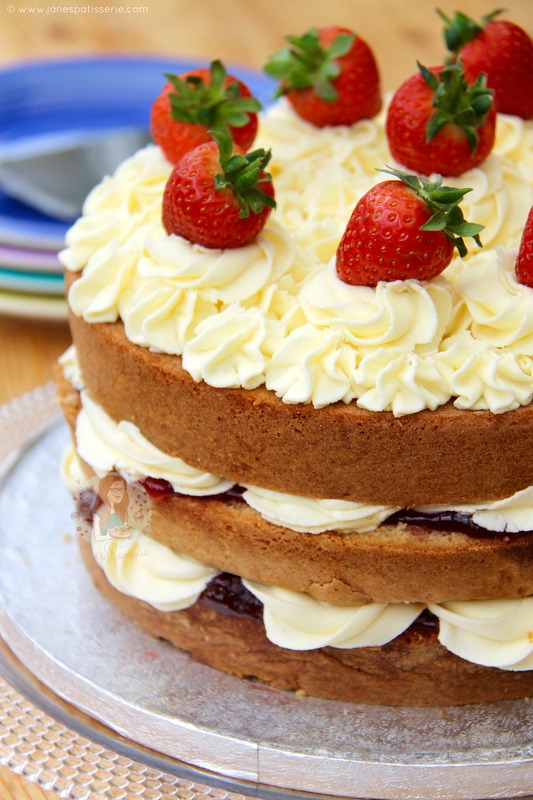 A delicious Classic Bake – A Victoria Sponge. Soft & Light Cakes, Strawberry Jam, Vanilla Buttercream & Fresh Strawberries! Strawberry seasons isn’t quiiiite here yet, but I bought a packet anyway and they were surprisingly tasty! This led me to think I should 100% do something with them, but definitely not overtone them – so I thought I would bake a classic – funnily enough it is one of the simplest and yet most delicious classic cakes around. When I was younger I used to think that this type of cake was icky and boring and why would I want it as its not Chocolate? But – I was completely wrong. This cake is SO GOOD and one of the best cakes in the world. However, sometimes the simplest of things can be the most difficult to get absolutely perfect! I find that with Victoria Sponges its all about getting everything perfectly in proportion – such as if you’re making a two layered cake, everything should be 200g (i.e. the sugar, flour, butter and eggs) and same for if you were doing a larger cake – everything should be 400g! It makes it far simpler and generally provides a foolproof cake. 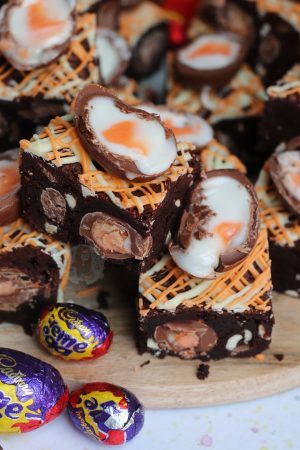 I weigh out my eggs when making a cake like this so I know that its going to work, and once you know your oven well enough you will know when is the perfect time to take the cake out of the oven and when it might need a smidgen longer in the oven! 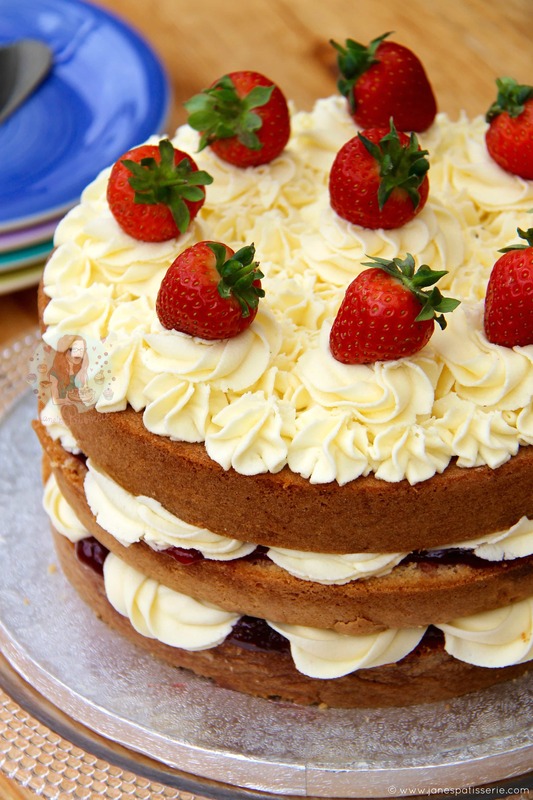 This cake can often be served with fresh fruit and whipped cream, or jam and buttercream – its entirely up to you! But when I am making it last a bit longer, I use buttercream so that it stays fresh for longer, whereas the cream may go a bit icky, especially on a hot day!I also have a slight issue where my Dad hates raspberry jam with a passion (no idea why…) so I always make mine with strawberry jam! This recipe makes a 3-layer cake – serves 12-15. 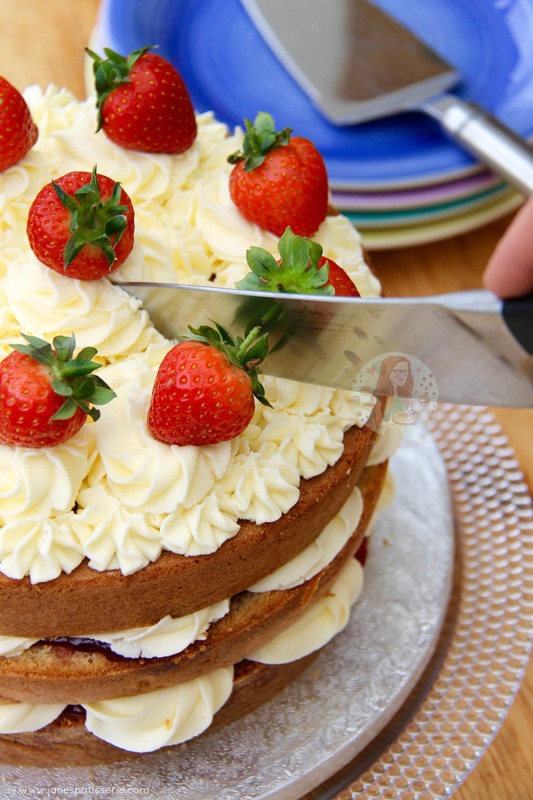 Recipe easily halved for a two layer cake! 3) Divide the mixture between the three tins and smooth it over – bake for 25 minutes until the cake is golden and when the cake springs back (skewer should also come out clean) Turn onto a cooling rack and leave to cool. 4) For the buttercream – beat the butter with an electric mixer until it is smooth and loose and then beat in the icing sugar & vanilla gradually. If the icing is too stiff then add the milk gradually to get your desired thickness! 5) To decorate – Spread the butter cream over the top of one of the sponges, then spoon half of the jam into the middle – place the second sponge on top and repeat the process – finish with the third sponge, and any left over buttercream on top! 6) Add some fresh strawberries, Sprinkle it with icing sugar and serve! 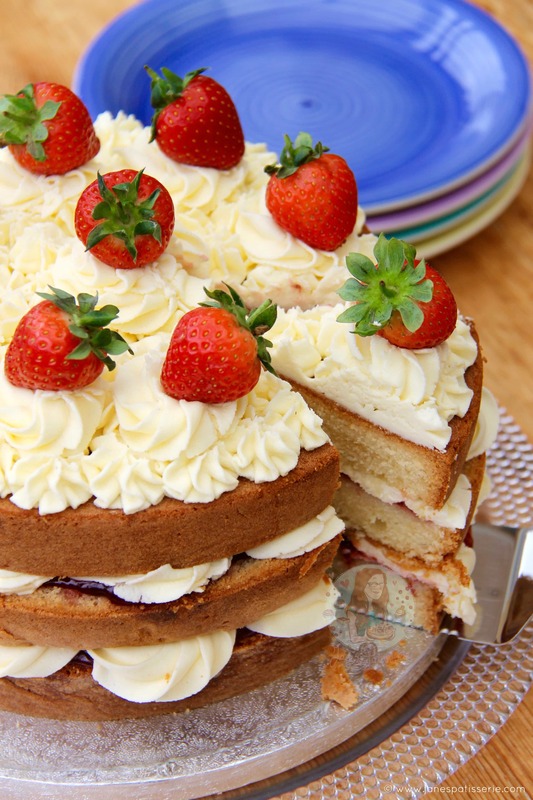 For a smaller cake – simply reduce the cake ingredients to 300g, split the mixture into two tins, and bake for 20 minutes! P.s. Classics are the best bakes ever. Older Next post: Berry Bakewell Cake! Newer Previous post: Salted Caramel Chocolate Tart! 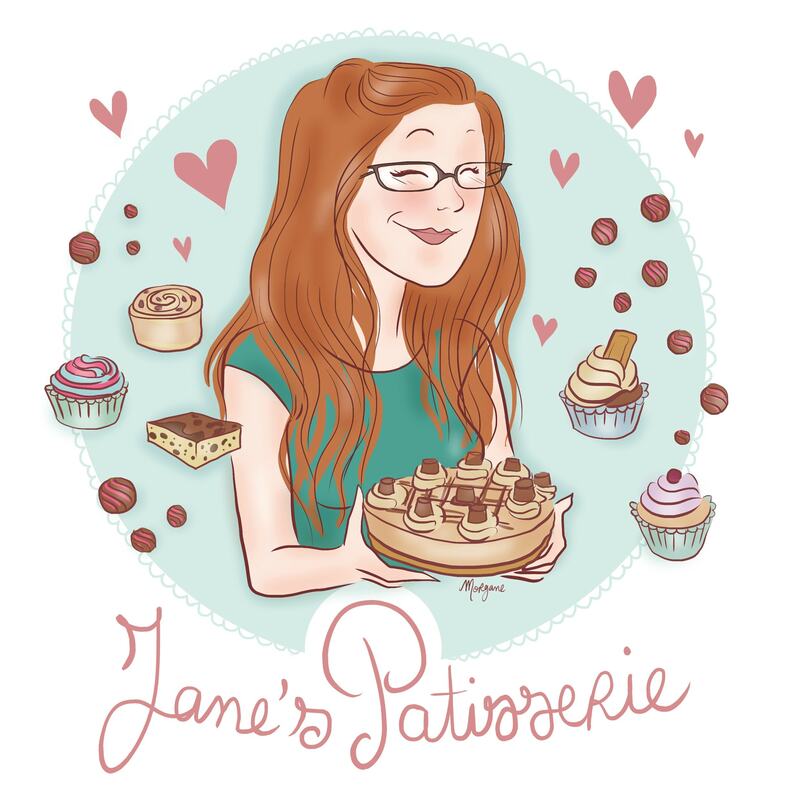 Hi Jane, you’ve got me enthousiastic to enter the world of baking! I only posess a combi-microwave so I can only bake 1 cake at a time. Can I make all the cakemix at once? Or should I split it into 3 and prepare it seperately? There must be something wrong with the mixing then. You have to make sure to use the correct ingredients, no butter substitutes or anything other than stork, and be careful when mixing. Also make sure your oven is the correct temp. Happened to me once. The baking powder had gone off. Make sure its fresh! Makes all the difference! That cake really melts the heart ,😍😍😝 but if I make it smaller (200g…) the baking powder should be 1 tsp or 2 ?? 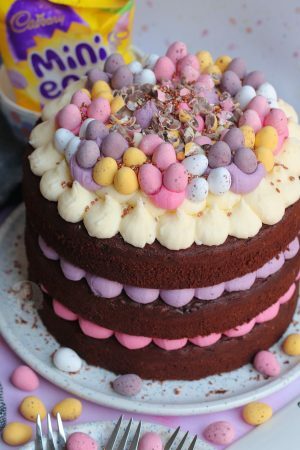 I am going to make my daughters birthday cake and want to decorate with fondant icing, I always use your recipes as they always turn out really well. A friend said that using a single tin then cutting in half gives better results when decorating with fondant. Is this correct? Hi Jane, just wondering what depth your tins are? Also, on all of the cake recipes when you specify 8inch cake tins, do you use the same tins for these- I just want to ensure that the amount of cake batter will always be the perfect amount for the tin across all of your wonderful recipes!!! Hiya! I have a variety of tins to be honest, but I use some that are about 4 inches deep, but they don’t fill up that high at all on a recipe such as this one as its only thinner sponges. I use them because they’re cheap and good, and if I wanted to do a deep cake I could. Hi Jane, would this work with fresh cream filling or would the cake be too heavy? Is a buttercream filling better to hold the cake up? In general yes the buttercream is better as it can also then be kept at room temperature – if using fresh cream you’d need to keep it in the fridge and that dries the cake out. However, fresh cream would be tasty, its just best to eat the cake the same day. How much fresh cream would I need to replace this with buttercream please? I would go with 450-600ml whipped with 2-3tbsps of icing sugar! Make sure to store it in the fridge after though, which can often dry the cake out a little. I would like to make this cake for one of nieces 2nd birthday. I would like to make 4 layers, adding colours to make it into a pastel rainbow cake. So I will split the mixture into 4 tins rather than 3. Would you recommended reducing the baking time and if so by how long roughly? 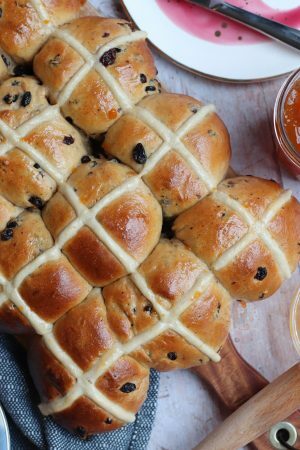 Hiya – It’s hard to say really as I haven’t baked this recipe into four tins, but I’d say about 5 minutes less. Keep an eye on it though. Hi Jane, I want to make this cake but in a square tin for 25 people what size tin would you recommend. That’s hard to say because of cake serving sizes, but probably a 10″? I use any supermarket own brand unsalted butter for my buttercream! Can the sponges be made in advance and frozen to decorate at a later date? Hey! Yes they can indeed ? nothing beats an old classic, am i right? Just looking at the pictures i am hungry (even though i just ate). good work Jane. i am curious though i want to know every time i bake my cake tastes eggy, i don’t no why is it because my eggs are from caged hens. ight i ask where you get your eggs from? Hi! Unfortunately I wouldn’t know why they are tasting eggy unless there is something wrong with what you are doing in the process of baking and the mixture is splitting, or the eggs themselves. Just add your eggs till its 400g! Do you mean just whipped double cream? Just made this, it’s the first cake like this that I’ve made, very impressed with the simplicity of this yet it looks so elegant, will see how it goes down tomorrow as it’s a surprise birthday cake ? Aah yaaayy! I’m so glad! I hope the birthday guy/gal loves it! Wow, accidentally stumbled across your website and it is fab. 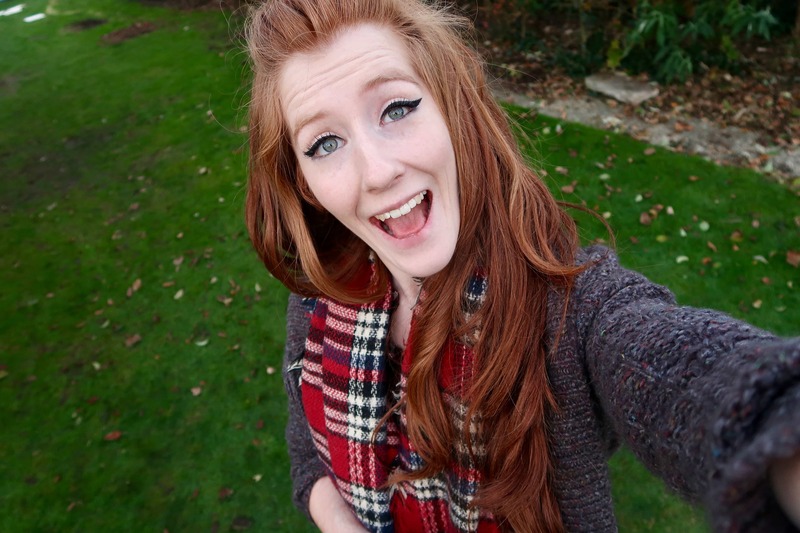 Aah thank you Gemma! I’m so happy he liked it! And don’t worry, my other half hates cake too most of the time ahah! I gave this cake a go for my brothers Birthday as he loves simple classic cakes… And I must admit it came out amazing!! We bought another cake from a bakery just in case I messed this one up, but this cake was so much better than the one we bought!! Absolutely delicious!! Anyone thinking of trying it, it’s a must. Also! All recipes on here are awesome! Tried a few cupcake ones too! ?? ?? Ahhh thats amazing! I’m so happy my recipe turned out better than a bakery! I’m so glad you love my recipes and have tried some out! Thank you! 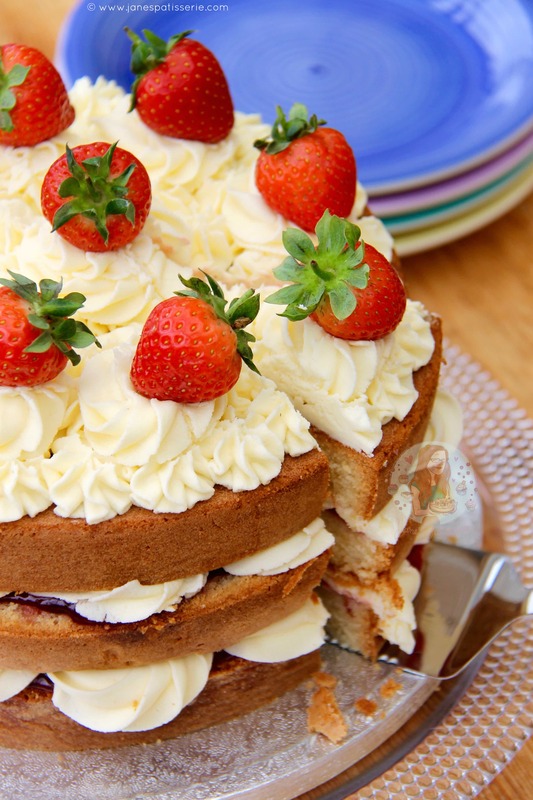 Pingback: victoria sponge. | country bumpkin. This looks A-mazing! I’m almost licking my iPhone definitely a recipe I will be trying ? Hahaha please don’t, it might taste funny! Such a pretty cake!! I agree with you; classics are the best cakes ever!! Thank you so much!! They’re so delicious! This looks incredible! I can’t wait to try it! Thank you for following me by the way, your blog is beautiful. ? Yes classics are the best! Its like cuddling into mama’s lap and enjoying the familiar feel. 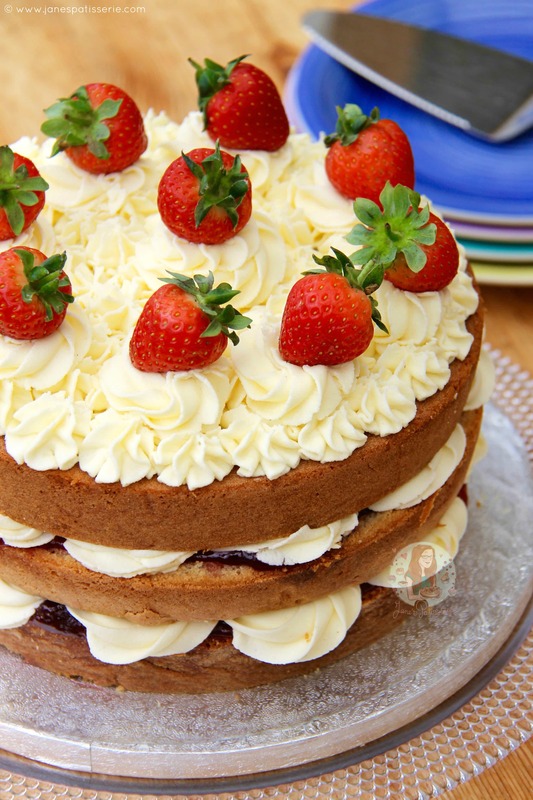 Love the look of the cake and the cream looks perfectly piped. Looks divine! Almost too pretty to eat! Thank you! I can agree on the almost haha, cake is never too pretty to eat! Far too yummy. This looks so delicious, my whole family is a huge desert fan. I’m def going to try these. Can’t wait for strawberries to be in season! It’ll be at least another two months here in Sweden. One of my main issues every year is being so impatient for strawberry season, it always takes so long to arrive!! And then it’s short too! Aww thank you Natasha!! I am starting to struggle though, so many goodies to eat all the time!! While looking at this and seeing on the snow here on the ground, I was thinking that strawberry season is still months away. But on the other hand I enjoy looking at your beautiful cake knowing that “real ” spring will be coming eventually and then I could try to make your beautiful cake! Awwh thank you! Hasn’t been snow near me since 2013!! And hopefully strawberry season will hurry itself up for you!